Ipoh, 28 August 2014 – Lexus Malaysia, today officially opened the doors to its seventh outlet in Malaysia located along Jalan Kuala Kangsar, Ipoh. On hand to witness the opening ceremony were Tan Sri Asmat Kamaludin, Chairman, Datuk Takashi Hibi, Deputy Chairman, Datuk Ismet Suki, President of UMW Toyota Motor, Goh Kian Sin, Executive Chairman and Goh Kian Chuan, Managing Director, Telagamas Motors Sdn Bhd. Serdang, 20 August 2014 – We were one of the local media given a chance to have a first-hand feel of the soon to-be launched, Axia (pronounced a-zee-a) at the Malaysia Agro Exposition Park Serdang (MAEPS), just outside Kuala Lumpur. 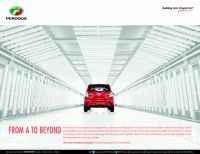 Axia is a combination of Asia and the “X” as a roman numeral for the number 10 which represents Perodua’s 10th model. 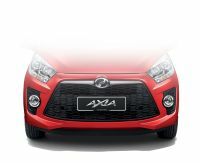 Kuala Lumpur, 14 August 2014 – The much talked about Perodua Axia, is open for booking from 15 August with booking fees ranging from RM250 and RM300 depending on the variant. The price is from RM24,900 and it comes with a 5-year warranty. Kuala Lumpur, 13 August 2014 – All Ford showrooms across the country will offer preview and test drives of the new Ford Ecosport compact urban SUV effective today. There will also be early bird rewards for pre-launch bookings and special rebates. Kuala Lumpur, 5 August 2014 – The highly acclaimed all-new A3 sedan was introduced by Euromobil Sdn Bhd, official importer and distributor of the Audi marque today.